The T58A combines the professional hardware and software technology to deliver crystal clear voice communications. 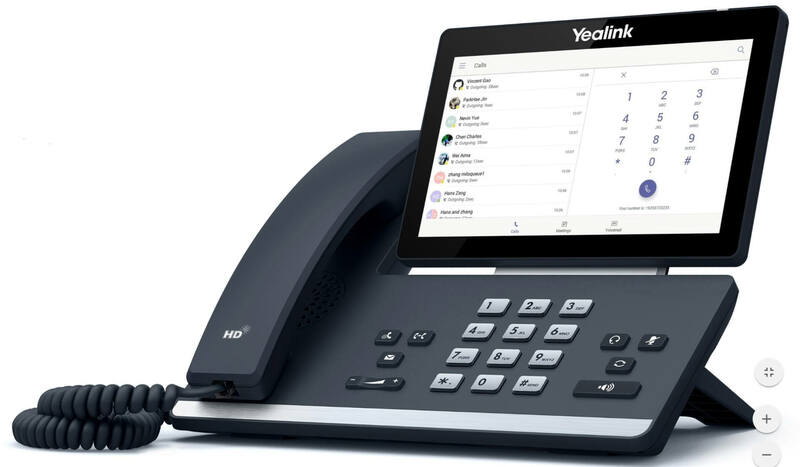 Thanks to Yealink Optima HD voice, and the hardwares of full-duplex hands-free speakerphone with AEC and HAC handset, T58A allows the user to concentrate on the content of a call. The 7-inch adjustable multi-point screen and the Teams-tailored user interface provide a rich visual presentation and easy menu navigation. The T58A is fully compatible with Office 365, making for a rich and talented ecosystem for your team. The T58A boasts unparalleled functionality and expansibility with built-in Bluetooth and USB headset features. The Yealink T58A is coupled with Yealink efficient auto-provisioning mechanism, including phone deployment and configuration. Administrators can take advantage of centralized deployment, management and updating. Moreover, T58A supports several device management platforms, including Microsoft/Yealink/Unify Square Device Management Platform.